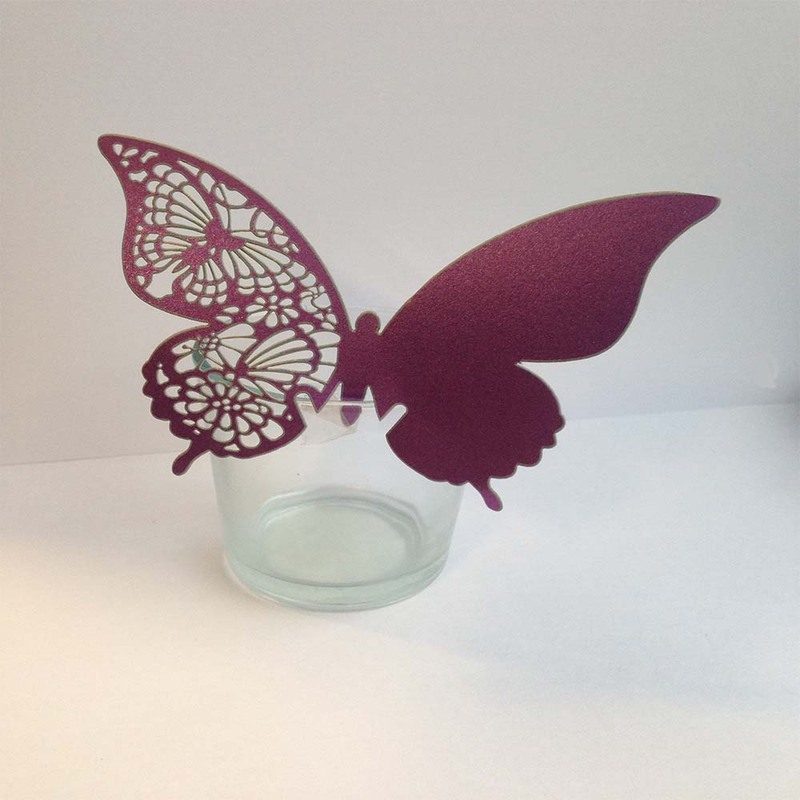 These purple butterfly cup sitters are perfect for any special occasion. The set includes 50 butterflies. These butterfly cup sitters are a perfect way to add style to your table. One half of the butterfly has a beautiful laser cut design whilst the other side is blank so you can add the name of your guests. These butterflies can easily be attached to the side of glasses and cups to create a unique decoration.